Sweden has developed a care infrastructure that allows seven out of ten dependent elderly people to receive most health and social care in their homes. Compared to the hospital sector though, there is still a relative lack of standards, guidelines and indicators to measure and assure the quality of community-based care. 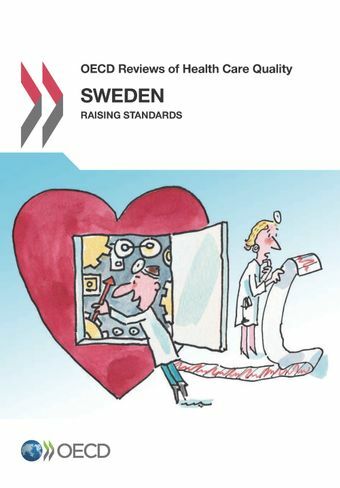 Sweden has a long-established and extensive set of quality registers for many areas of health and social care. Open comparison of municipality-level results has been instrumental in developing an ambitious quality-improvement culture across the country. More needs to be done though to build links between quality registers, in order to build up a picture of the complete pathway of care for patients with complex needs. Sweden is pioneering the issue of data linkage by linking individual patient data across its Senior Alert, Dementia, Behavioural Symptoms and Palliative Care registers. This will allow a comprehensive assessment of the quality of care for patients with dementia starting from early detection, through to diagnosis and management, deterioration and end of life. Sweden is expanding the role of non-traditional care providers (such as private sector providers or community organisations) in an attempt to expand patient choice and encourage quality-based competition. Close evaluation of these reforms will be needed to ensure that other objectives, such as coordinated care and equity of access, are not compromised.